When you're the best in the field a successor is always going to be eagerly anticipated. Such is the way when Range Rover introduces a new model, as it did a few months ago. 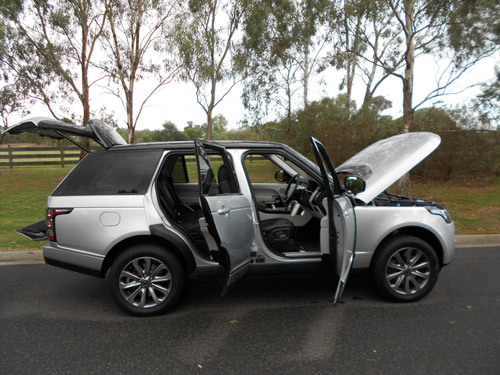 The new-generation Range Rover arrived, here in Australia, looking good with new styling, new technologies, excellent powertrain options and all the 'things' that make the Range Range such an admired 'car'. And if you think it looks big, you're right .... it is big. 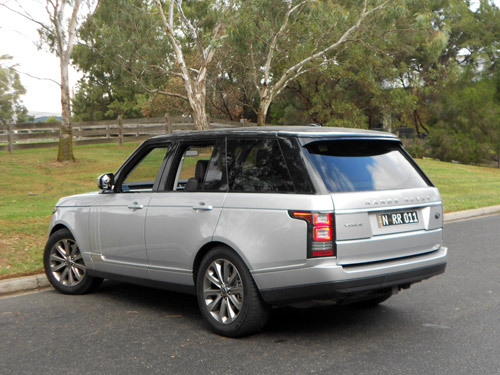 Our Range Rover test car was the Vogue fitted with the popular 3.0 litre V6 turbo diesel and a host of options. 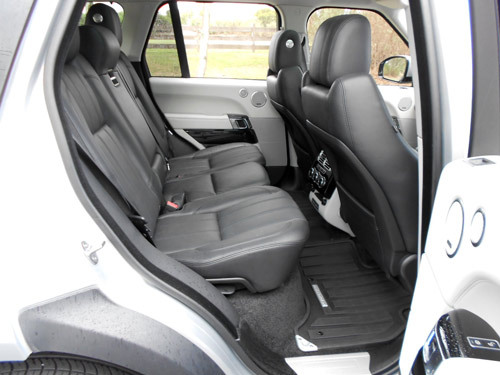 The Vogue trim level is above the HSE grade and below the Vogue SE and Autobiography. 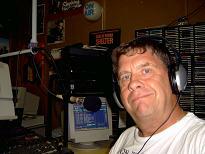 Vogue is a model grade with the new model, rather than a model range as it had been previously. Indus Silver was the colour of our test car and it had the exceptionally attractive Ebony/Cirrus interior. 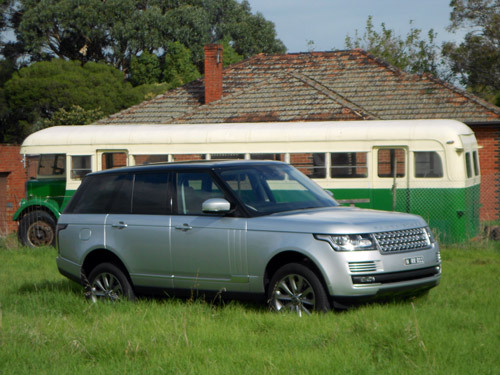 Without options and on-road costs, the base price* for our test car, the Range Rover Vogue is $178,900*. This made the total price* (excluding the traditional on-road costs) of $188,110* for the drive car. When considering the opposition in this segment of the marketplace, I must say that I believe the price is quite competitive because the Range Rover is the segment benchmark and this extraordinary new generation model elevates the benchmark even higher. 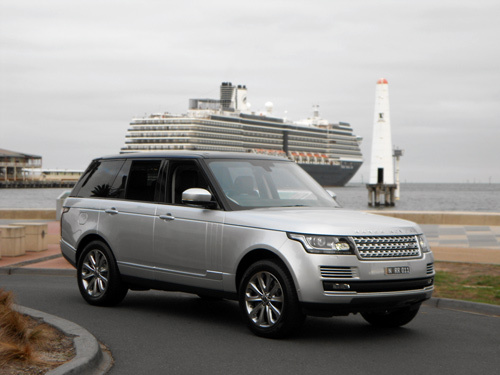 As indicated, the new Range Rover comes in four grades ..... HSE, Vogue, Vogue SE and Autobiography. Engine choices include the 3-litre V6 diesel (as per the test car), a 4.4-litre diesel (not available in HSE) and a rip roaring 5.0L supercharged (petrol) V8. A supercharged petrol 3.0-litre V6 will be available, too, in just a few months. The base price for the new Range Rover HSE is $168,900*. The price range then covers the bases through to $240,100* which is the starting price for the Range Rover Autobiography with the 5.0L supercharged V8. The price for the V6 supercharged models has not yet been announced. The new to the Range Rover 3.0-litre turbodiesel V6 features 190kW of power and 600Nm of torque. Let me tell you, I enjoy having 600Nm readily available. Please be assured, the V6 turbo diesel provides quite good performance. Some folks may doubt the wisdom of a 3-litre engine in a car the size of the big new Range Rover. But doubters should have their day behind the wheel to demystify the abundant qualities of the 3-litre diesel. The commanding view from the driver's seat is excellent. Visibility is good, all-around. The 'privacy glass' does not hinder the external view from inside the car. 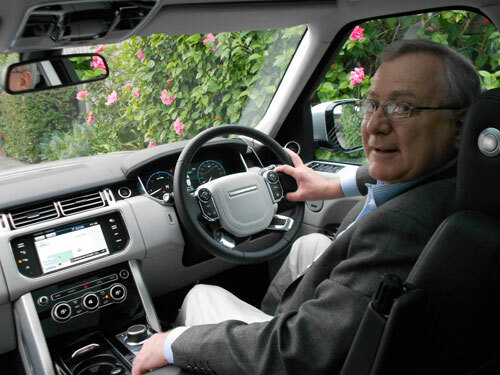 Comfort is undoubted, it was always a pleasure to be in the Range Rover. All aspects of driveability are well sorted, but bear in mind that the Range Rover is a big car and it weighs in at over 2 tonnes. Yet it is quite easy to manage this car, as all controls mechanisms are light. On this occasion we didn't venture off-road, that will be for another time. 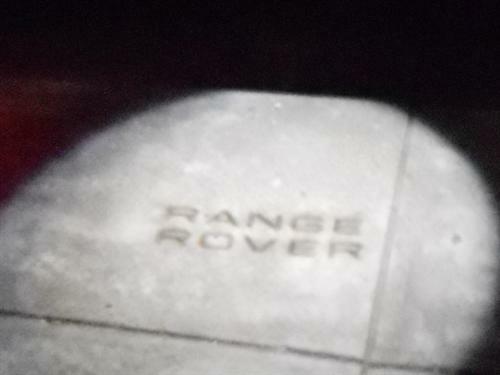 Of course, the Range Rover's off-road ability is well documented and our confirmation would hardly add to the admiration that this car has already earned over the years. Just quietly, for those that want to know acceleration times, we can mention the factory indicate a 0-100 km/h dash can happen in just 7.9 seconds. That is good enough in my books, because we're talking base engine in a big, heavy car. Little wonder I was always satisfied with the go pedal. Firstly, let's point out that the Range Rover is comfortable, smooth and quiet. In a way, I guess that is all that matters. But it, also, must be pointed out that the Range Rover is big and it is the sort of car that you climb into rather than sink into. You get used to that, but at my age I beginning to think that the next Range Rover doesn't need to be any bigger! 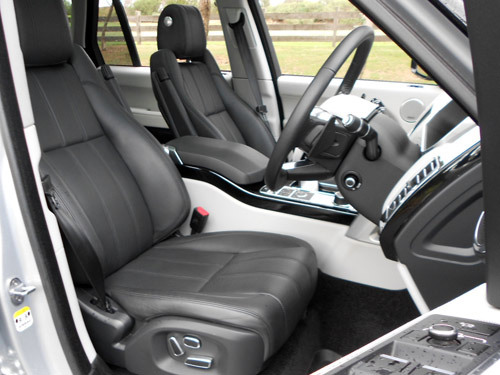 We appreciate the convenience of standard features such as 3-zone air conditioning; interior 'mood' lighting; xenon headlamps; follow-me-home lighting; power-fold exterior mirrors with approach lighting (illuminated with Range Rover branding - see accompanying image); and so much more to make enjoying this car an easy task. Driver and passenger airbags (side, seat-front, thorax and pelvis) are fitted, as expected. The combined cycle fuel consumption rating for the 3.0 litre turbodiesel automatic is 7.5 l/100 km. Our average of mostly urban driving was 10.3 litres/100 km was satisfying because, again, the Range Rover is a big car. The academic fuel consumption rating, on the urban cycle is 8.5 l/100km. We must have been a little heavy footed, but we still believe an average of 10.3 l/100km is quite acceptable. The fuel tank has the capacity of 85 litres. Emissions of CO2 are rated at 196 grammes per 100 kilometres on the combined cycle, quite reasonable for a vehicle of this size. 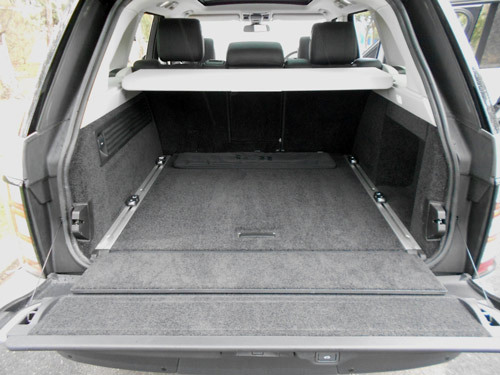 A braked trailer (and its contents) can weigh as much as 3,500kg for towing by the new Range Rover. An unbraked trailer should weigh no more than 750kg. A three year or 100,000 km warranty applies (with conditions) for the Range Rover. Roadside assistance is available for the same period (again, conditions apply of course). The Range Rover is the pinnacle of luxury 4-wheel drives, in my opinion. It's even more so with this new model! If it looks like a Range Rover, drives likes a Range Rover and has the comfort and smoothness of a Range Rover, then it must be a Range Rover! In respect to large 4x4 SUVs ..... it doesn't get any better than this.